Jeff is a Managing Partner with One Source Advisory. He is a long time resident of Florida, and prior to beginning his career in insurance and financial services in 2007 served as a business consultant providing expertise and assistance to small, mid, and large organizations in an effort to maximize human and technological resources leading to enhanced productivity, increased revenue and profitability. While working closely with businesses throughout Florida, Jeff realized his passion for assisting business owners and fellow Floridians, deciding shortly thereafter to path a career in insurance which could afford him the opportunity to assist his clients in procuring the most comprehensive, insurance coverage for their business or personal needs. 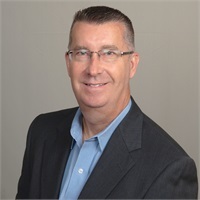 Drawing from his knowledge, experience, and expertise, Jeff welcomes each opportunity to be a consultative resource to business owners and individuals. Jeff holds a Bachelor of Science Degree in Finance from Florida State University, and a Master of Business Administration Degree from the University of Phoenix. He is also licensed and credentialed in Florida, holding a 2-15 Life, Health and Variable Annuity, 2-20 General Lines Property and Casualty, as well as a 6-20 Adjuster All Lines license. Jeff, his wife and family reside in Pasco County, where they are members of Idlewild Baptist Church and stay active in the community.